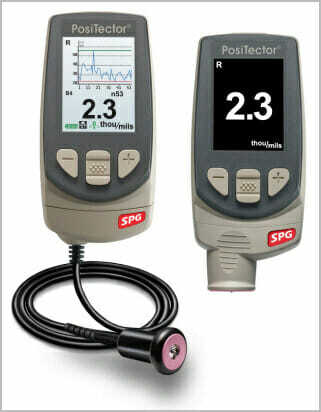 The PosiTector SPG Surface Profile Gauge measures and records peak to valley surface profile heights. 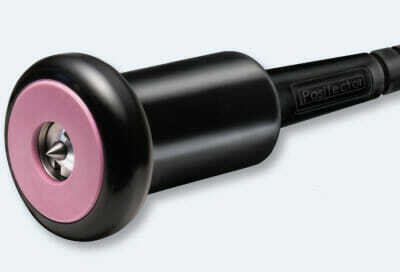 Conforms to ASTM D4417-B, AS 3894.5-C (with optional 30° tip angle), U.S. Navy NSI 009-32, SANS 5772 and others. 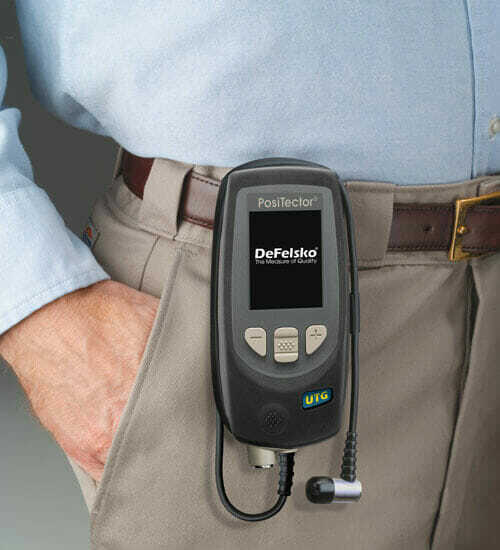 Shock-absorbing, protective rubber holster with belt clip and wrist strap. 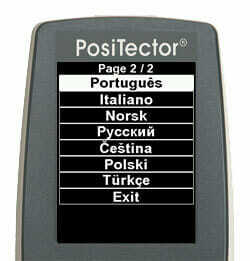 PosiSoft Software Compatible – Continue using the familiar legacy software you have used for years. Available as a free download. 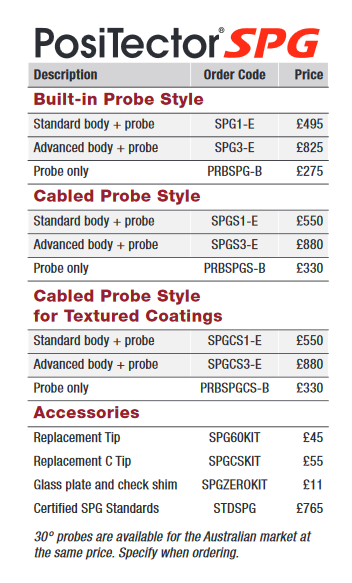 All the useful accessories to accompany your PosiTector SPG Surface Profile Gauge can be found here.